Layered with a creamy fudge frosting, this easy-to-make cake is moist with a deep chocolate flavor. My favorite choice for a classic celebration cake! Although he’s already a man, he’ll always be my baby brother. Dor lives a billion miles away from me, so I haven’t seen him in far too long. One day, he just packed up his stuff and left me to peruse his goals at Yale University. I like to brag about him, because after all, since he’s my brother, him being a genius means something about me, right? Probably not, but I like to think so. Still, there’s much more to him than just his intelligence – he’s humble, caring, and quite cute, too. You would love him. Dor has a sweet tooth just like I do. We are definitely blood related. We liked spending our time as children watching movies together while nibbling desserts (but not before finishing a full tray of pizza). Babka, cinnamon rolls, and chocolate fondant are a few of our favorites. His sweet tooth, however, seems to become more subdued as he ages. Mine doesn’t. Since Dor is so far away and there’s not much I could do for him for his birthday except for sending him a gift card (did that one last year) or a bunch of cupcakes from his local bakery (did that one, too), I decided to celebrate by making him a birthday cake. One that he can’t taste because he’s not here. Don’t worry, Dor, I ate a slice for you! I’ve been using this recipe for ages now, and it’s simply one of the best out there. 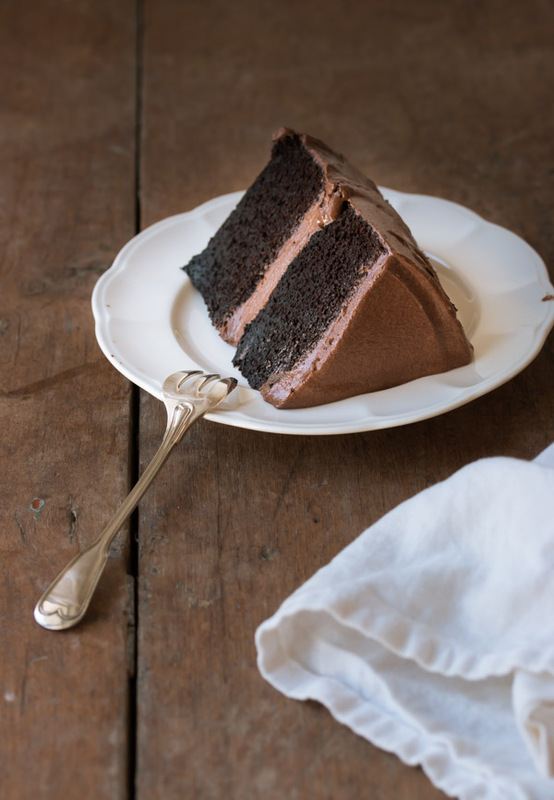 It’s tender and fudgy and has a deep chocolate flavor, plus it stays moist for days. But the best part? It’s both easy and quick to put together. All it takes is mixing dry ingredients in one bowl, wet ingredients in another bowl, and then combining them together. No mixer needed! Now, about the frosting. I decided to go with a classic chocolate frosting that reminds me of a nostalgic celebration cake. Read more about the frosting here. You can use the frosting just between the layers, or over the entire cake, but don’t stress too much about making sure it’s perfect. This cake will be delicious no matter how you choose to frost it. Happy birthday, baby brother! May all your dreams come true, and may these dreams be to always love, nourish, and take care of your older sister. Amen! 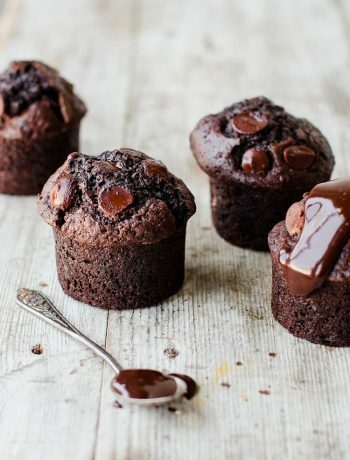 Optional: To enhance the chocolate flavor, dissolve 1-2 teaspoons instant coffee granules or espresso powder, or 2 oz dark chocolate in the hot water. Preheat oven to 350F/180C. Generously butter two 8-inch cake pans that are at least 2-inches high, and dust with cocoa powder, tapping the ramekins slightly to remove any excess. In a medium bowl, mix together eggs, oil, vanilla, buttermilk, and water. Whisk until smooth. Add egg mixture into flour mixture and mix until smooth. Don’t overbeat – batter will be lumpy at first, but mix gently and eventually stir with a whisk just until smooth. The batter will be very thin and liquid. That's ok.
Scrape batter into prepared pans. Bake cakes for about 30-35 minutes (depending on your oven - this might take longer), or until a skewer inserted into the center comes out clean or with just a few moist crumbs. 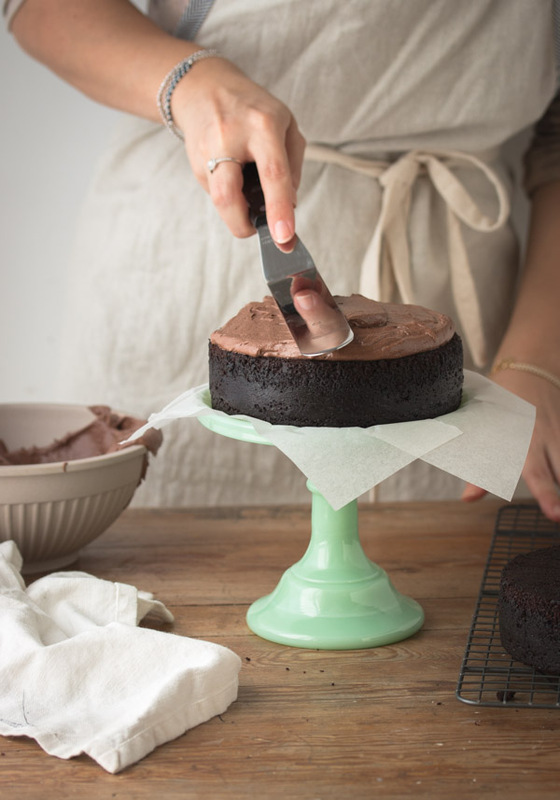 Allow to cool for 10 minutes in the pan before unmolding, then let cakes cool completely on a wire rack. 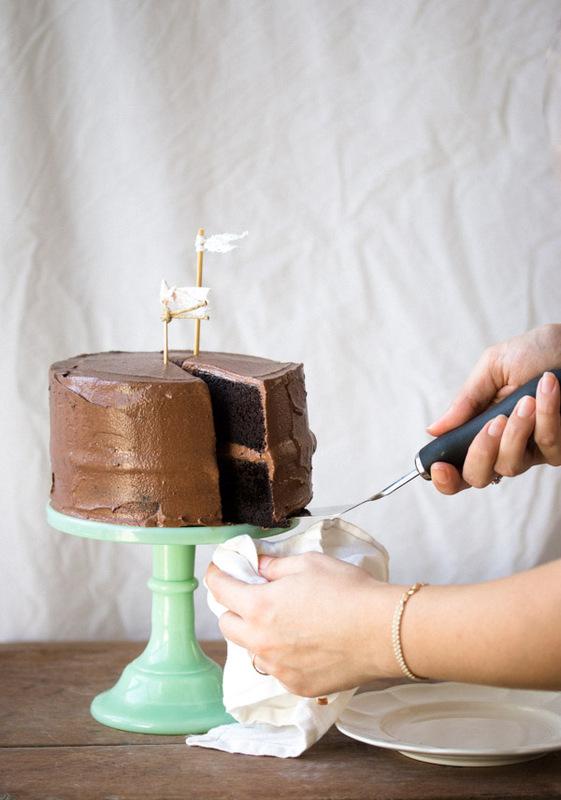 Assembling the cake: Set one layer on a plate with the flat side facing up (or, if your cake rose too much, cut its rounded top with a knife to make it flat – totally optional). Evenly spread about ⅓ of the frosting over the cake to the edge. Top with the second cake layer, rounded side up. Spread the remaining frosting over the top and sides of the cake. Store cake in the fridge for up to 3 days. Bring to room temperature before serving. This is adorable. And that cake looks killer! 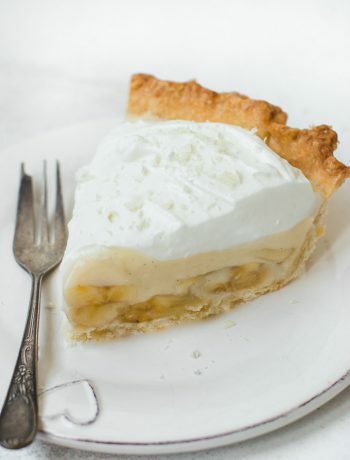 I love this recipe it makes me tremble, I bought a cake once that cost 20 dollars and was not even as good and classic, as this one cake here, I’m in love with the simplicity and how it just brings up so many childhood memories! I also love how the ingredients are so affordable, why by some fancy cake that cost like 100 dollars for it to require a some what mature taste, or not even be as good? Thank you so much! I love to make exquisite cakes all the time! 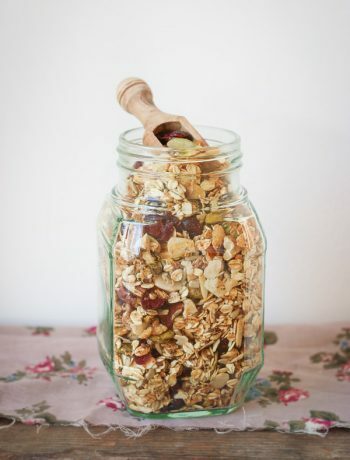 But when you are running late this is and amazing recipe to try! Thank you so much for making this recipe! I will certainly be checking out some of your other recipes! Thanks so much! That’s so great to hear Ashley, thank you so much! Hi Nicola, did you use two 8-inch pans? Don’t worry about opening the oven door. You just need to keep it in the oven until it’s no longer liquid, no matter how long it takes. Each oven is different so this can happen. 1 2 means 12, right? Asking just for not going wrong with the recipe. Hi Yushfa, the recipe yields 1 cake with 2 layers, if that’s your intention. Opening the oven door while a cake bakes – or while anything with leavening agents are working (baking powder / baking soda are leavening agents!) to make them rise can cause the baked item to ‘fall’. I made your cake and used your chocolate frosting that you recommended for my husband’s birthday. I can honestly say this was the best cake I’ve very made him. He picked this out for the cake pictures I showed him so your photography is also wonderful. I had previously asked you about how much corn syrup to use but i competely forgot about it so I used just powered sugar but it was excellent. Thank you for posting this recipe and the one for the frosting. Thank you for the sweet words Irene! I’m glad you and your husband loves it 🙂 I replied to your comment about the frosting, if you want to try it next time with corn syrup. Happy birthday! My cake sunk! 🙁 Why? Hi Gabriela, I’m sorry your cake sank! There are many possible reasons for that, a few of them are: opening the oven door many times which affects the oven temperature, or opening it too early before the cake has set; oven isn’t hot enough; too much air was incorporated into the batter due to over beating; cake didn’t go to the oven soon enough after the batter was ready; raising agent is old or isn’t measured properly. I hope this will help you understand what might have caused it. Let me know if I can help you with anything else! This looks amazing! If i’m doing the two 6″ plans do I have to adjust the cooking time/temperature at all? Also, can I leave it as a two layer cake instead of a four layer cake? Thank you Laura 🙂 You don’t need to adjust the temperature, just make sure to bake the cake until a toothpick inserted into the center comes out clean (it would take a bit longer than baking it in a 9-inch pan). And yes, you can leave it as a 2-layer cake! I got to this recipe from your cupcake recipe (in the comments) which I really liked. On the comments there, you said if we were using Dutch processed cocoa instead of natural unsweetened, to replace the baking soda with powder. But this calls for both. What would you recommend? Thanks! Hi Kristen 🙂 It’s a bit trickier in this recipe since there’s also buttermilk (which is acidic) in there, therefore baking soda is needed. also, the two cocoa powders are not always interchangeable, and I’m not sure what the result would be for this cake. You can try this substitution, with replacing part of the baking soda with a double amount of baking powder, but test it first to see if you like the result. Thanks so much for your reply. I actually realized after I posted that I did have natural cocoa, and not Dutch processed. I had seen the Dutch in the stores here and thought that’s what I had gotten. I made it as written, and everyone loved it! Thanks also for including the metric measurements on the recipe. I live overseas now, and am learning the conversions, but it helps a lot to have them already on there! I used the peanut butter frosting on and it was oh so good – very rich – but very good! 🙂 Thanks for the recipe – this is a keeper for sure! That’s so sweet of you Kristen, and thank you so much for taking the time to write the comment! I should really have a chocolate and peanut butter cake recipe on the blog! It’s on my list now 🙂 Thanks again! Hi Shiran, Im planning on making this cake for my son’s birthday next week. Question on the cake pan. I have a 9″ pan that is 1.8″ tall/high. Can I get 2 layers with this height? I feel it it will be a very shallow kind of cake. Secondly you’ve said with one pan, to bake for 1 hour-Is’nt that too long? I’ve never baked a cake longer than 45 mins (except for a christmas cake)! Yes Anna, you can. My cake pans are 2-inch tall. I know it seems like it’s not tall enough, but it is, trust me! Especially with the frosting – the cake won’t be short at all. You’re right that most cakes would take less than an hour to bake, but this cake takes longer and is very liquid and moist. One last question. What should my oven temperature be for a 1 hour bake worth a 9 inch pan? Bake it at 350F/180C. To prevent over-browning of the cake while baking, you can cover the pan loosely with aluminum foil for the last 10-20 minutes. Why is everyone talking about an hour? The recipe says 30 min? I have a few, yes 🙂 I’ll post my favorite one on the blog for sure. I’m glad you liked it, Nancy 🙂 Thank you for your comment! Dear Shiran, I did everything according to the recipe for a 7″ pan, but I find that the batter is still very runny whilst in the oven. What could be the problem? Hi Darinee 🙂 The batter should be very runny – that’s fine. It probably only means that it needs a longer time in the oven until it’s fully baked. How did it turn out eventually? How many 7-inch pans did you use? For how many layers? The more batter that would be in the pan, the longer baking time it would need. Also, if you kept checking the cake to see if it’s done and opened the over door too often, it can also affect it, because then the oven temperature can drop quickly. If I bake this cake in a single 9-inch pan for example, it would take quite a long time to bake – about an hour. I hope it would help for next time 🙂 Happy Birthday! Thank you so much Shiran! The cakes were a hit. I made two for two party celebrations and the parties would’t have been the success they were without your recipe. Everyone loved it. The cakes were moist and superbly chocolatey. I’d love to share the pics if there’s any way I can upload them? Can this be used for a cupcake recipe? Hi Kristin! I have a recipe for perfect chocolate cupcakes here, so I suggest you make them instead! Absolutely sublime!!! I have never posted a comment but HAD TO for this recipe. I was beside myself with how incredibly moist, chocolatey, and perfect the texture was. I am an avid baker and have tried countless recipes, but this TRULY is the all-time best. My go to recipe for life!! Thank you so much for this recipe Shiran, I am glad I found it, and I will be sure to use your recipes regularly!! Hello. I’m currently making your Chocolate layered cake but when i tried to take it out of the oven it started moving like jello what should i do let it cook longer? Try to desperately save it by adding more flour? I really need help because the party is tomorrow and I want it cleaned and done. Hi Olivia! If it’s moving then you need to bake it for longer time until it’s completely set. The batter is liquid so it can take quite some time until the cake is fully baked. Hi. Just to check before I bake this cake – you state that it makes 4 layers in a 6 inch pan, yet your photos show a 6 inch cake with 2 layers – did you use the same quantities of ingredients (as stated in the recipe) and just made a 6 inch cake with 2 large layers, instead of 4 smaller ones? Many thanks. Hi Emma! I usually make 3-4 layers for a 6-inch cake, depending on how tall I want it. When I make a 2-layer 6-inch cake, I reduce the amount of ingredients. If you stick to the recipe, you’ll have enough batter for 4 layers. I made this cake and it was delicious. Thank u for sharing. Do u have a yellow cake receipt? 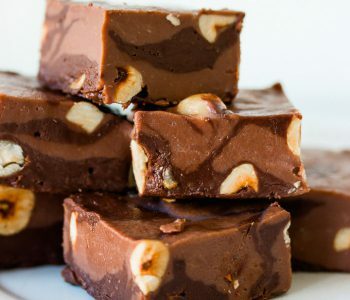 Would it be possible for you to share how to increase the measurements so I can make a 9″ 2-3 layer of this recipe please? You can multiply the ingredients by 1.5, just make sure to fill the cake pans no more than 2/3-3/4 full with cake batter. I am huge fan of your recipes.I tried this cake today and I ended up having a horrible tasting cake..bad day I hope..Would like to try it again tomorrow..could you pls tell me what’s the purpose of hot water for I have never used it for cakes before and my batter for very very runny ,is that how it should be? Hi Steffi! The hot water yields a super chocolate-y and moist cake, and helps in mixing the ingredients thoroughly so the batter has no lumps. The batter should be very thin and liquid because of the water, so there’s nothing to worry about. This is one of my favorite cakes, so definitely try it again! Hi Amela, you can use the same amount of ingredients, or you can multiply them by 1.5 for a tall layer cake, just make sure to fill the cake pans no more than 2/3-3/4 full with cake batter. I made this cake last Friday (1/20) and it turned out beautifully! I followed the recipe closely with a few modifications – 1 tsp. vanilla, 1/2 tsp. of Espresso powder dissolved into 1 cup of water in addition to ~2 oz. dark chocolate dissolved into milk (what can I say, I’m a lover of chocolate), and it produced the most delicious, soft yet fairly dense, and moist cake! Question though, why add oil instead of butter? Hi Mara, butter gives good flavor but oil makes this cake extra moist and fluffy. Hi Shiran, I tried to bake this cake for my son’s birthday using 8″ baking pans which overflowed in the oven. I’m now waiting for the oven to cool so I can clean up the goop. Did you use taller than regular pans or springform pans? Hi Sue, I use standard pans that are 2-inches high, so I’m not sure why it happened. It also works well with two 9-inch pans, if you want to try again. I’m going to make this cake again soon, so I’ll check the exact height and clarify it in the recipe. Happy birthday to your son! Hi Shiran, after reading the recipe again, checking to see if I made a mistake in measuring, I finally realized that you used 2″ cake pans. The pans I had were only 1.5 inches, no wonder the batter overflowed! I have bought new 2″ pans and will try again. Thanks you so much for replying. I’ve made this cake multiple times now and it has been deemed the “best cake ever” so it is now our standard birthday cake. One question though -This recipe says bake 35 minutes but with my 8″ cake it is like jello. Do you double the cooking time for 8″ cakes? That’s about what I end up doing. Thank you Chelsea! Baking time vary according to your oven, mine takes about 30 minutes to bake (if I use more than one pan), but it can take longer than that. Cake is amazing! So moist and easy to make, definitely will be making it again!!!!! I think of myself as a chocolate cake connoisseur; I try chocolate cake at every bakery in every city. My favorite was at Amy’s Bread in New York City, until now. THIS recipe blows every other cake out of the water. I will seriously never buy chocolate cake again. It’s easy, moist, light, chocolatey, decadent but not too rich. AMAZING RECIPE! Thanks Shiran!!!! That’s so awesome to hear! Thank you Whitney! Also, if you use coffee in the milk as per your tip, can you taste the coffee making it like a coffee cake, or does it really just enhance the chocolate flavor without tasting like coffee? Finally, why do you use normal flour plus baking powder, rather than self raising flour? Hi Dave, you pretty much answered yourself 🙂 Using buttermilk is always the best option, but yes, the substitution would work too. The coffee enhances the flavor and you won’t taste it in the final product. I don’t use self-rising flour in my recipes because it’s not available to everyone. Also, it doesn’t work for every recipe. I hope this helps! Thanks for your site; it’s beautiful. This chocolate cake recipe looks like a real winner. 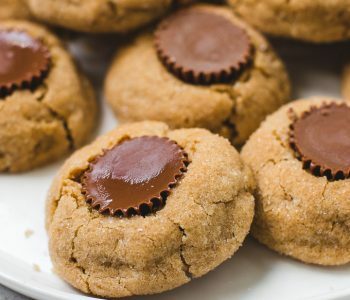 Do you have any experience baking it with refined coconut oil (the refined has no flavor whatsoever) instead of canola? Also, how might I reduce the ingredients/cooking time to make it a two-layer cake using 6×2 pans? Many thanks! Thank you Tracy! 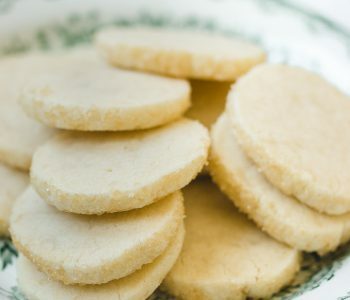 I don’t have experience baking it with refined coconut oil, but if you’re used to replacing it with canola oil in other recipes and like the result, it should be ok. Regarding the pan size, that depends on how tall you want your cake to be. You can half the recipe, or use 3/4 the amount of ingredients for a taller 3-layer cake. Here’s a good guide on how to adapt recipes for different pan sizes. Thanks, Shiran. I’ll let you know how it goes once I try it. That’s it! This chocolate cake is the WINNER! It turned out so great- moist and rich. That finally puts the question of refined coconut oil to bed- it works interchangeably with conventional oils like Canola (just melt the oil to measure it and then make sure all ingredients are room temperature so it doesn’t re-solidify). I made a 2-layer mini cake using 2 6 x 2 cake pans and then had enough batter left over to create four mini (1 cup size) bundts. Thanks again, Shiran. I can’t wait to try more of your recipes! I’m so glad to hear that, and thanks for sharing! I’ll definitely try it myself sometime! Thanks Shiran, I made this today for my Dad’s Birthday and it turned out great. Very moist! Here is my pic. You are right you don’t taste the coffee. Took 42 mins in 2x 8″ silicone baking trays. I used glacé icing on top and buttercream in the middle. It is so big! Hi Shiran! I love your recipes and this would be my first time to try this one for my niece’s birthday. My pan does not reach a height of 2 inches. I only have 3 8 inches pan. Can I just use that 3 and just divide the batter equally? How long and what temp should I bake it? Also is the cake too sweet? I plan to use dulce de leche at the middle because I need my frosting to be white ( coloring it blue for a moana themed cake) so i am using swiss meringue butter cream. I hope you reply soon. Thanks you so much. Hi Nicole, yes, the 3 cake pans should work, just make sure not to fill the pans more than 2/3 full with cake batter. The temperature would be the same. Start checking the cake for doneness after 20-25 minutes. If it’s still liquid, bake it for a while longer until a toothpick inserted into the center comes out clean, 30-40 minutes. Happy birthday! Hi Shiran! I baked the caked and it took me 20 mins. It was so moist and I loved it. I am waiting for it to cool down so I can assemble. I love adding coffee to chocolate cakes. It enhances the flavor. I also did your carrot muffin but planning to make it a cupcake using your recipe for frosting too. Cupcake turned out really well. Thanks for sharing your recipes! I will surely try more. Hello, I want to bake this for my daughter’s 11th birthday. I have 2×10″ pans. If I upscale the recipe to 1-1/2 your quantities, will it work? And will the cake be deep enough? I’m attempting to create a tree stump effect (hoping the fact that it’s supposed to look natural will cover my mistakes). Hi Karen, Here’s a good guide I use on how to adapt recipes for different pan sizes. multiply the recipe by 1.5 sounds right. If you want a tall cake you can even multiply by 2 – just make sure your pans are about 3 inches tall. Whatever you prefer 🙂 It might just be a longer baking time, but if it doesn’t bother you, then using 2 pans should be fine! Hi Amanda, it’s unlikely that the cakes burn after 5 minutes in the oven, so your cake batter isn’t the problem. Did you check the oven temperature? One thing that could happen is that some batter/food fell to the bottom of the oven (from previous baking) directly onto the heating element and burned. This was the most delicious and easy recipe for a chocolate cake I’ve ever tried. I made it for my daughter’s 9th bday party and all the girls just loved it, even the ones who usually don’t like chocolate! This cake is SO delicious! I’ve made it twice- once with 2% milk and once with buttermilk. I used 9″ pans so baked a little shorter time. Both cakes turned out moist with a nice texture, but the buttermilk one was just a bit better. I frosted one with cream cheese frosting which got rave reviews. And the other I frosted with the recommended chocolate frosting which was out of this world! This will be the Only chocolate cake recipe that I will use. 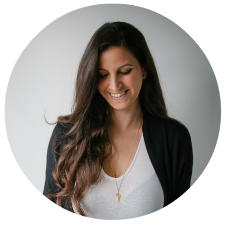 Thank you for the wonderful recipe, Shiran! That makes me so happy, and I feel very special now! Thank you so much for sharing this with me!! I made this for my daughter’s 3rd birthday and I think it’s the best cake I’ve ever made. I multiplied volumes by 1.5 because our pan was bigger and I had to make additional bits to turn it into a cat! Also had to cook in two batches because we only had one pan … My wife put the fear of God into me when she told me I couldn’t leave the batter with raising agents while the other was cooking. But all was good in the end! I’ll definitely make it again. Hi! I made this today in 2 x 8-inch pans and haven’t have any problem with the cake itself, but I’m on a trial run for a cake I’m making for a party, and hoping to get a higher cake – at the minute each layer is about 1.5 inches high without icing. Do you have any suggestion as to what quantities to use to make it higher, or whether it will just have to be three layers? Hi Anna! After you frost the cake, it should be quite tall. Still, I think the easiest way to do this is to make 3 layers, and multiply the recipe by 1.5. Can I use 2% milk instead of whole milk/buttermilk? 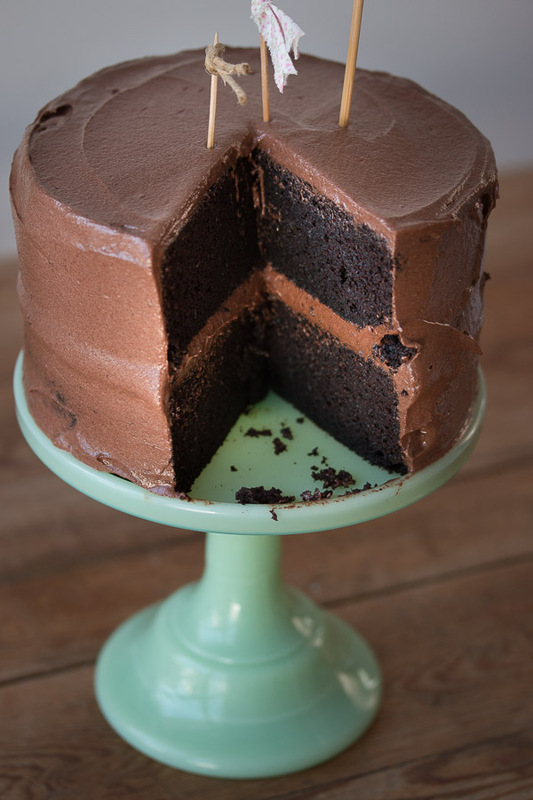 I am looking for a chocolate cake recipe for my son’s Birthday cake and this one looks absolutely perfect! It’s making my mouth water just looking at the pictures! However I am wanting to make a 6″ square block layer cake, but have no idea how to convert the quantities for this to work. I’m hoping that you can advise me, on how to modify the quantities and instructions, so our cake turns out tasting like it’s supposed to! I am curious to know how much powder sugar i need to subtract if i want to use corn syrup. I am hoping to baking your recipe tonight and can’t wait!! For the oil you have recommended canola? Is it possible to use vegetable oil or sunflower oil? Hi Gillian, yes, you can use another flavorless oil such as vegetable oil. Hi Elise, yes, it would be great for that, but the amount of ingredients and baking times will be different. Hi! Is there something I can do to stop the cake from sinking in the center? I baked both layers and they are both sinking in the center. I’m going to try it again. Why do you have tp is room temp eggs? Sometimes I recommend using room temperature eggs because they mix better with the batter and give better rise, so the overall texture is better. Using cold eggs is ok though, because in some cases the difference is negligible. I’m trying to make a 6” cake, will this recipe still work? Yes, it will work, but you need to bake it in 3 pans, or 4 if you like, so it won’t overflow in the oven. Hi Shiran! I have an question for you. Are your measuring cups American Standard cups, that is 8 oz./250 ml? Hi Simone , 1 cup equals 240 ml. Shiran, I have another question for you… Can I use less butter? What can I substitute it ? Please help! I’m not sure how many liters the batter yields, but if you use a 8-inch cake pan that is not at least 3-inches high, the batter might overflow. You can use a 9-inch cake pan if you have one. My pans are 2.5 inches long. Can I use them? I don’t think it will be enough. If you don’t have 2 pans, use a bigger one, a 9-inch pan, if you have one. I have two pans measuring 8 inches in length and 2.5 inches in height. Then can I make the two loaves in the two pans? If the pans are 8-inch round pans, then yes, you can use them. Hi Shiran! I have a question 🙂 Can I use semi sweet cocoa powder instead of unsweetened cocoa powder??? Thank You! I have only 1 8×3 inch pan. I want try this recipe. Do you think it will not overflow in the oven? how long should I bake the cake if I use 1 8×3 pan? Another for 7×3 pan? If I use this for the recipe. Do you think it will overflow? Thank you for your response. Hi Ashley, are you making two layer cakes? a 9-inch cake and a 7-inch cake? 2 batches of the recipe should be enough in that case. 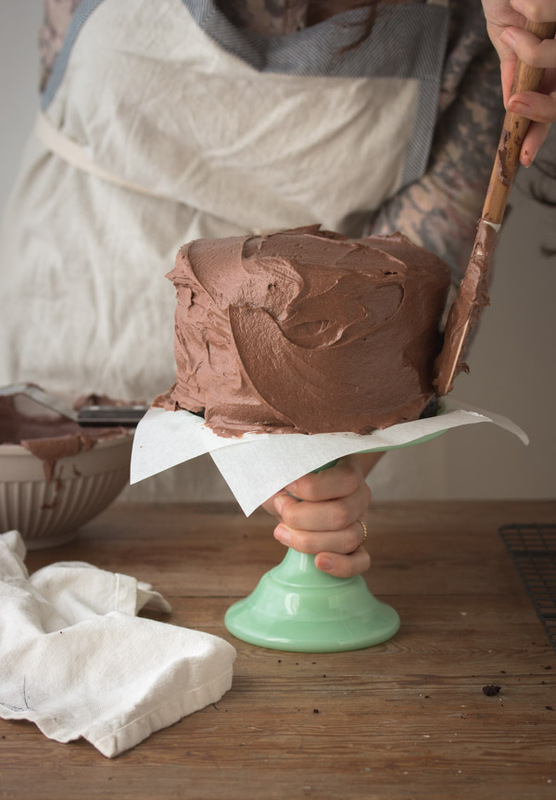 Use more of the batter for the 9-inch cake. The baking time might be a bit different as well. Good luck! Hi Shiran. Thank you so much for your reply. Yes. 2 layes of cake. An 9 inch and 7 inch. Do you have an estimate on how long would the 9 inch and 7 inch bake respectively? It’s hard to say because it depends on how much batter you have in each pan. Just keep an eye on it and bake until a skewer inserted in the middle comes out clean. Why does the cake need to sit for so long? Hi Jane, in which part does it sit for long? Do you have any suggestions for high altitude? I’m a mile above sea level. Thank you! Hi Lisa, since I don’t have experience baking in high altitude, it’s hard for me to give any suggestions. I can only suggest to google it and experiment. Hi Heidi, since these are two different products it will change the flavor and texture of the cake. It should work depending on the flour you’re using, but I can’t guarantee the result without testing. If I omit the coffee, will this recipe still turn out? Thank you. Hi Phani, the coffee is optional, so you can make the recipe without it. Hi Shiran!! Thank you for such a wonderful recipe!! delicious and moist cake!!! Thank you so much, Tan! You can add finely grated zest of 1-2 oranges to the cake, and replace some of the buttermilk and water with fresh orange juice. You can experiment with that, but without testing it it’s hard to give an exact amount. Hi Shiran, I can’t wait to bake this cake for my 18th! I want to do a 2-tier cake, so a 10 inch and an 8inch. I’ve read in the comments that I should use 1.5x the recipe for the 10 inch cake but I’m just wondering how long I should bake it for? And also would this cake be alright to cover with fondant? Thanks so much!! Hi Yvie, this cake would be great for fondant. I don’t know the exact baking time. Bake it until it’s no longer liquid and a toothpick inserted into the center of the cake is dry. I made this choc cake for my husband he was so impressed . he said it tasted just like his grandmothers cake. thank you.i will be using more of your recipes.thank you!!!!!!!!!!!!!!!!!!!!!! Hi! I’m planing to make this cake for my grandmother’s birthday. I’m just wondering, do the ingredients listed bake one 8inch cake? Or does it fill two 8 inch pans? Trying to figure out if I need to double the recipe to get two cakes or if the one list of ingredients makes two cakes. Thanks! Hi Sarah, the number of cake pans is always mentioned in the recipe instructions. You’ll need to use two cake pans to get a two layer cake. This is THE BEST chocolate cake our family ever tsated!! Thank you so much! I garnished itbwith icing sugar and sprinkled some m&ms on top. My nephew just loooooovvvves it! but it just wouldn’t cook through. When I took out the scewer it was filled with wet crumbs. I believe I followed the recipe properly so I really don’t get it. I hope you can help me figure out where I went wrong. Hi Marianna, it probably just needed more baking time. Depending on your oven, this cake can take a while to bake. If you opened the oven door many times, or if you used one pan instead of two, or smaller cake pans, you need to bake it for longer until it’s completely set. This cake was so incredibly delicious and easy to make!!! I kept the recipe simple and made one 9”x13” cake because I was baking with my kids. It came out perfectly done in 35 minutes. I used the frosting recipe from the Ultimate Chocolate Cupcakes to cover the top. The final product was moist, rich and delicious. I’ll make this recipe again. 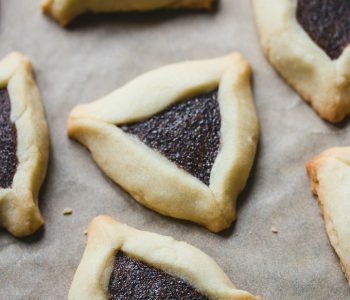 Dear Shiran, what a wonderful recipe this is! I made this with a half batch with 2 layers of 4 in and 6 in round. This frosting is the best one too. The cake is so easy to make by hand, and it is super moist and fluffy even keeping in the fridge. The frosting was also easy to handle and I did apply it with smooth finish which makes me happier! Thank you for sharing such a great recipe, I definitely keep it. The best chocolate cake ever!! I made this cake for my son’s birthday this weekend (with the coffee added in) and it’s absolutely perfect–flavorful and moist. I’ve tried too many disappointing chocolate cake recipes (too dry, not chocolatey enough, too complicated to make, or just cloyingly sweet), and now I can stop searching. I’m glad the internet led me here. Hi I want to make this cake for my birthday but I my sister is allergic to eggs. Is there a way to make ut without eggs? I have two 9 inch pans. What temperature and for how long should I bake the cakes. Thanks! Hi shiran!! I love all your recipes but I have a, question can this cake be made without eggs or can substitute it with anything?? Hi Kanishka. Unfortunately the eggs are necessary for this recipe. 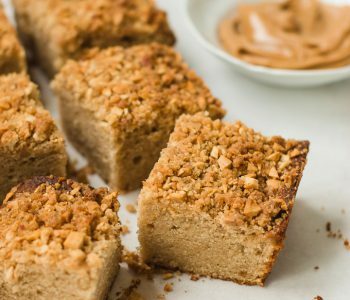 Can I make this cake with your ingredient measurements in just one pan? Maybe a 10 inch? Because I only have one 8″ one 9″ and one 10″? You can bake it in one 9-inch pan (just be careful not to overfill the pan with batter). The baking time will be much longer.